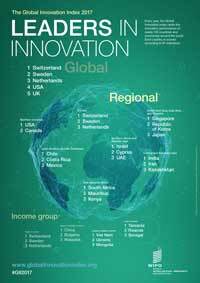 Each year, the GII surveys some 130 economies using dozens of metrics, from patent filings to education spending providing decision makers a high-level look at the innovative activity that increasingly drives economic and social growth. 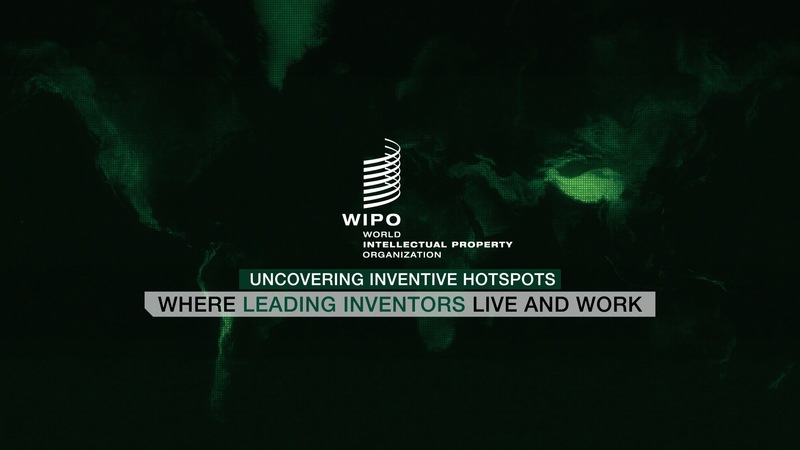 In a new feature for the GII, a special section looks at “invention hotspots” Video around the globe that show the highest density of inventors listed in international patent applications. Now in its tenth edition, the GII 2017 notes a continued gap in innovative capacity between developed and developing nations and lackluster growth rates for research and development (R&D) activities, both at the government and corporate levels. In 2017, Switzerland leads the rankings for the seventh consecutive year, with high-income economies taking 24 of the top 25 spots – China is the exception at 22. In 2016, China became the first-ever middle income economy in the top 25. A group of middle and lower-income economies perform significantly better on innovation than their current level of development would predict: A total of 17 economies comprise these ‘innovation achievers’ this year, a slight increase from 2016. In total, nine come from the Sub-Saharan Africa region, including Kenya and Rwanda, and three economies come from Eastern Europe. 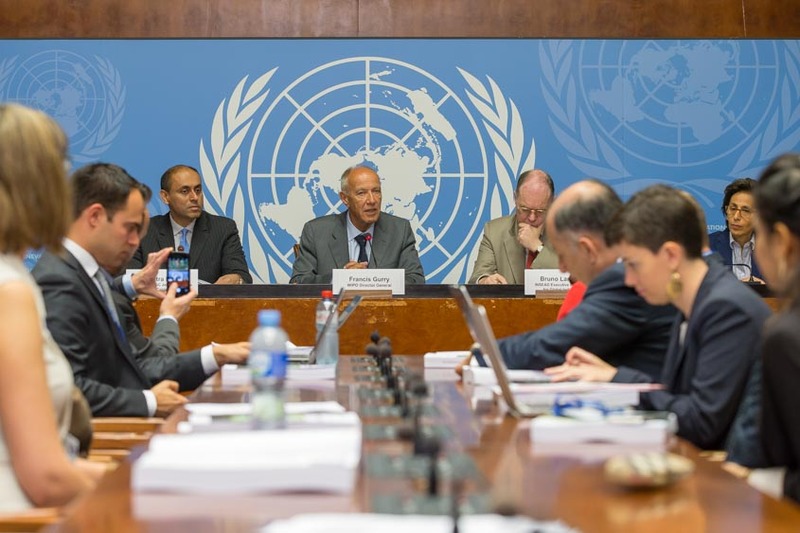 WIPO Director General Francis Gurry presents the Global Innovation Index 2017 at a press conference taking place at the United Nations Office at Geneva (photo: WIPO). Next to innovation powerhouses such as China, Japan, and the Republic of Korea, a group of Asian economies including Indonesia, Malaysia, Singapore, Thailand, the Philippines and Viet Nam are actively working to improve their innovation ecosystems and rank high in a number of important indicators related to education, R&D, productivity growth, high-tech exports, among others. The theme of the GII 2017, “Innovation Feeding the World,” looks at innovation carried out in agriculture and food systems. Over the next decades, the agriculture and food sector will face an enormous rise in global demand and increased competition for limited natural resources. In addition, it will need to adapt to and help mitigate climate change. 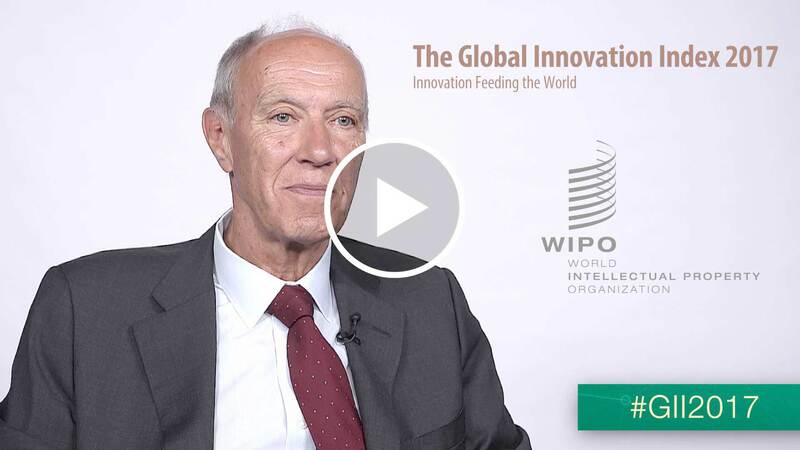 Innovation is key to sustaining the productivity growth required to meet this rising demand and to helping enhance the networks that integrate the sustainable food production, processing, distribution, consumption, and waste management known as food systems. “By 2050, the world’s population is estimated to reach 9.7 billion. This presents the global agricultural sector with a daunting challenge. 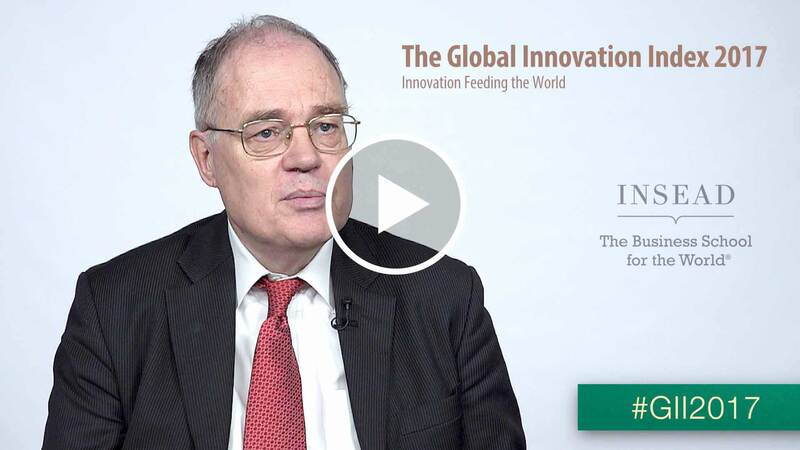 The stage has been set for a potential global food crisis if policy makers and other stakeholders fail to implement agricultural innovation that significantly boosts productivity,” said Barry Jaruzelski, Principal at Strategy&, PwC's strategy consulting business. Two Northern American countries – USA (4th overall) and Canada (18th globally) – show particularly sophisticated financial markets and intensity of venture capital activity, which help stimulate private-sector economic activity. The U.S. strengths also include the presence of high-quality universities and firms conducting global R&D, quality of scientific publications, software spending, and the state of its innovation clusters. Canada excels in ease of starting a business and quality of scientific publications, while its political, regulatory and business environment draw top marks. Canada has logged improvement in its education system. In this year’s edition of the GII, 15 of the top 25 global economies are in Europe. Europe is particularly strong in human capital and research, infrastructure, business sophistication. European economies rank first in almost half the indicators composing the GII, and include knowledge-intensive employment, university/industry research collaboration, patent applications, scientific and technical articles, and quality of scientific publications. The Republic of Korea maintains its top overall rankings in patenting and other IP-related indicators, while ranking second in human capital and research, with its business sector contributing significantly to R&D efforts. Japan, ranked third in the region, is in the top 10 global economies for research and development, information and communication technologies, trade, competition, market scale, knowledge absorption, creation, and diffusion. China continues moving ahead in the overall GII ranking (22nd overall this year), reflecting high scores in business sophistication and knowledge and technology outputs. China this year displays a strong performance in several indicators, including the presence of global R&D companies, research talent in business enterprise, patent applications and other IP‐related variables. Within the Association of East Asian Nations (ASEAN) grouping, Singapore is the top performer in most of the indicators, with a few notable exceptions: ICT services exports, where the Philippines leads, and expenditure on education, where Viet Nam leads. Thailand’s strengths include creative goods exports and gross domestic expenditure on R&D (GERD) financed by business, where it places 5th and 6th globally. Viet Nam shows the second best rank of the region in expenditure on education and also performs well in labor productivity growth, economy-wide investment, and foreign direct investment net inflows. Malaysia ranks well in high-tech imports and exports, university/industry research collaboration, and graduates in science and engineering. “Public policy plays a pivotal role in creating an enabling environment conducive to innovation. In the last two years, we have seen important activities around the GII in India like the formation of India’s high-level Task Force on Innovation and consultative exercises on both innovation policy and better innovation metrics,” said Chandrajit Banerjee, Director General, Confederation of Indian Industry. The Islamic Republic of Iran (75th overall) excels in tertiary education, ranking second in the world in number of graduates in science and engineering. Tajikistan (94th) is first in the world in microfinance loans, while Kazakhstan (78th) ranks first globally in pupil‐teacher ratio and third in ease of protecting minority investors. Israel (17th overall) and Cyprus (30th overall) achieve the top two spots in the region for the fifth consecutive year. Israel has shown improvement in gross expenditure on R&D and ICT services exports, while keeping its top spots worldwide in researchers, venture capital deals, GERD performed by business, and research talent in business enterprise. Third in the region is the United Arab Emirates (35th globally), which benefits from increased data availability and shows strengths in tertiary inbound mobility, innovation clusters and ICT-driven business model innovation. Sixteen of the 19 economies in the Northern Africa and Western Asia region are in the top 100 globally, including Turkey (43rd), Qatar (49th), Saudi Arabia (55th), Kuwait (56th), Armenia (59th), Bahrain (66th), Georgia (68th), Morocco (72nd), Tunisia (74th), Oman (77th), Lebanon (81st), Azerbaijan (82nd), and Jordan (83rd). The largest economies in Latin America and the Caribbean (Chile, Mexico, Brazil, and Argentina) show particular strengths in institutions, infrastructure, and business sophistication. Chile, Mexico, Brazil, and Argentina perform well in areas of human capital and research such as the quality of universities, tertiary education enrollment, and presence of global R&D companies, as well as in information and communications technology, thanks to their high scores in government's online services and online participation. The region’s GII rankings have not significantly improved relative to other regions in recent years, and no country in Latin America and the Caribbean currently shows any innovation outperformance relative to its level of development. "As Latin America, especially Brazil, is returning to positive growth rates, it is crucial to establish the foundations for innovation-driven development, which is the main goal of the Business Mobilization for Innovation (MEI),” said Robson Andrade, president of CNI and Heloisa Menezes, Technical Director of Sebrae. Sub-Saharan Africa draws its highest scores in institutions and market sophistication, where economies such as Mauritius, Botswana, South Africa, Namibia, Rwanda, and Burkina Faso perform on par or better than some of their development-level peers in Europe and South East Asia, East Asia and Oceania. Since 2012, Sub-Saharan Africa has counted more “innovation achiever” countries than any other region. 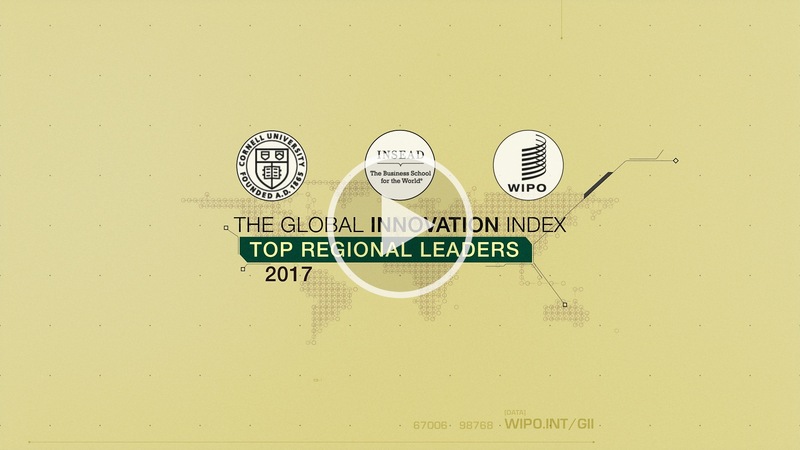 Kenya, Rwanda, Mozambique, Uganda, Malawi, Madagascar and Senegal stand out for being innovation achievers this year, and several times in the previous years. Burundi and the United Republic of Tanzania become innovation achievers this year. Preserving and building upon this innovation momentum in Sub-Saharan Africa is now key. 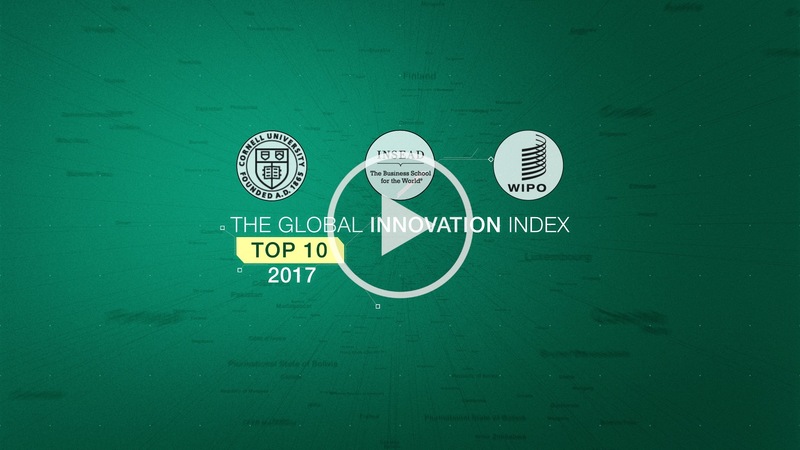 The Global Innovation Index 2017 (GII), in its 10th edition this year, is co-published by Cornell University, INSEAD, and the World Intellectual Property Organization (WIPO, a specialized agency of the United Nations). 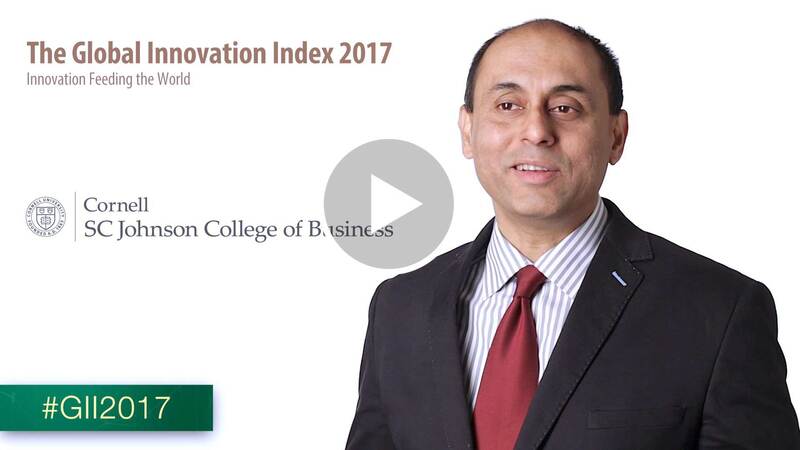 Published annually since 2007, the GII is now a leading benchmarking tool for business executives, policy makers and others seeking insight into the state of innovation around the world. Policymakers, business leaders and other stakeholders use the GII to evaluate progress on a continual basis. This year’s study benefits from the experience of its Knowledge Partners, Confederation of Indian Industry, PwC’s Strategy&, and the National Confederation of Industry (CNI) and Brazilian Micro and Small Business Support Service (Sebrae), as well as of an Advisory Board of international experts. The GII 2017 is calculated as the average of two sub-indices. The Innovation Input Sub-Index gauges elements of the national economy which embody innovative activities grouped in five pillars: (1) Institutions, (2) Human capital and research, (3) Infrastructure, (4) Market sophistication, and (5) Business sophistication. The Innovation Output Sub-Index captures actual evidence of innovation results, divided in two pillars: (6) Knowledge and technology outputs and (7) Creative outputs. The Confederation of Indian Industry, PwC’s Strategy&, and the National Confederation of Industry (CNI) and Brazilian Micro and Small Business Support Service (Sebrae) collaborate as Knowledge Partners in 2017. The Confederation of Indian Industry (CII) works to create and sustain an environment conducive to the growth of industry in India, partnering industry and government alike through advisory and consultative processes. CII is a non-government, not-for-profit, industry-led and industry-managed organization, playing a proactive role in India´s development process. Founded in 1895, India's premier business association has over 8,300 members, from the private as well as public sectors, including SMEs and MNCs, and an indirect membership of over 200,000 enterprises from around 250 national and regional sectoral industry bodies. The Brazilian National Confederation of Industry (Confederação Nacional da Industria – CNI) is the official and highest-level organization representing Brazilian industry. Since its founding in 1938, CNI has defended domestic business and manufacturing interests, acting as the main interlocutor with the executive, legislative, and judicial branches of government, as well as with various organizations and entities in Brazil and around the world. CNI represents Brazil’s 27 state-level federations of industries and 1,250 sectorial employer’s unions, to which almost 700,000 companies are affiliated with. In addition, it directly administers the following organizations: Social Service of Industry (Serviço Social da Indústria – SESI), the National Service of Industrial Training (Serviço Nacional de Aprendizagem Industrial – SENAI) and the Euvaldo Lodi Institute (Instituto Euvaldo Lodi – IEL). Brazilian Micro and Small Business Support Service - Sebrae - is a non-profit private entity with the mission of promoting the sustainable and competitive development of small businesses. Through its experience has become expert in small business development in Brazil. Its role is to foster entrepreneurship, providing guidance to help small businesses to grow and generate more employment, helping to develop the Brazilian economy. It has a network of almost 700 onsite service centers throughout the country, counting on more than 5,000 small business experts and a large pool of external consultants working towards transferring knowledge and know-how to those who own or intend to start a company. Cornell is a privately endowed research university and a partner of the State University of New York. As the federal land-grant institution in New York State, we have a responsibility to make contributions in all fields of knowledge in a manner that prioritizes public engagement to help improve the quality of life in our state, the nation, the world. Cornell University has created a reimagined model for business education that reflects the future of business itself: flexible, collaborative, and cross-disciplinary. Cornell SC Johnson College of Business unites the strengths of three accredited business schools — the Charles H. Dyson School of Applied Economics and Management, the School of Hotel Administration, and the Samuel Curtis Johnson Graduate School of Management so that every student can benefit from the combined power of business at Cornell: more degrees, faculty, resources and expertise. Whether solving real-world challenges, or deeply immersing in a particular industry, Cornell SC Johnson College of Business offers something unique, meaningful and lasting.